More than 38,000 attendees traveled from all over the world to discuss retail technology, strategy, and leadership at the NRF Big Show, hosted by the National Retail Federation. Technology was a main focus of this year’s show, both in presentations and throughout the exhibition hall. Retailers are excited to embrace technologies such as artificial intelligence, robotics, automation, and online marketplaces, to name a few. As retail fulfillment continues to blur the lines between warehouses and retail stores, robots can play a key component in helping stores meet customer demands for online delivery, same-day pickup, and same-day delivery. Retailers are looking for ways to improve efficiencies while remaining sustainable and flexible. 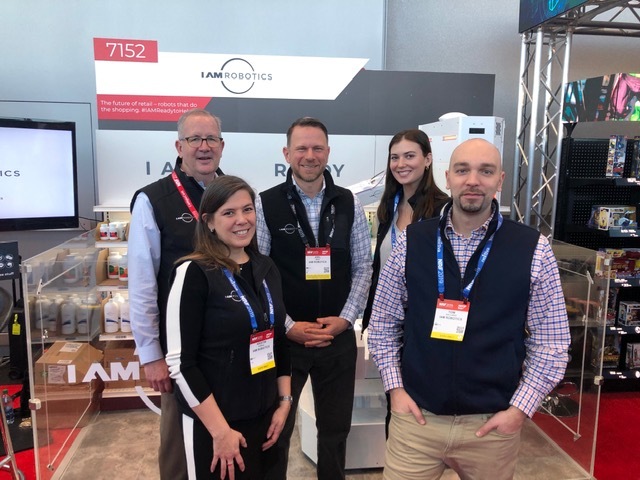 The IAM Robotics team had the opportunity to be part of NRF 2019’s Innovation Lab, an invitation-only exhibition of the top and upcoming retail technologies. At the show, we showcased our Swift autonomous piece-picking robot by creating an IAM Ready to Help interactive store, which allowed attendees to select an item of their choice for our robot named Madison to pick from our shelves. Madison was quite the hit among media outlets and show attendees! 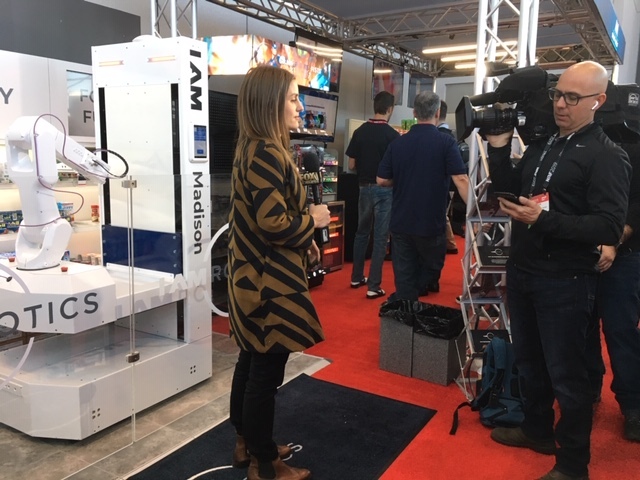 Fox Business News stopped by our booth to see Madison in action, License Global also noted that robotics was a popular draw in the Innovation Lab, Market Scale deemed IAM Robotics as a standout in the innovation exhibition, and Social Magnets founder Ross Quintana included an IAM Robotics tweet in his Best Of NRF 2019 list. Attendees from all around the world were also excited to capture the Swift picking robot in action. Autonomous robots like Swift can pick items at any time of the day, providing workers with more time to focus on more customer-facing initiatives. Looking to learn how robotics can help manage the industry shift in how items are fulfilled? The IAM Robotics solution can help retailers lower their costs and improve operational efficiency.